China House ~ Marrowbone Slip, Plymouth. 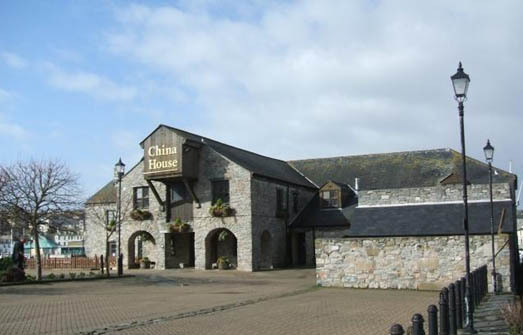 The China House is situated at Marrowbone Slip in Coxside overlooking Plymouth’s historic Barbican harbour from where the Pilgrim Fathers set sail aboard the Mayflower to America in 1620. 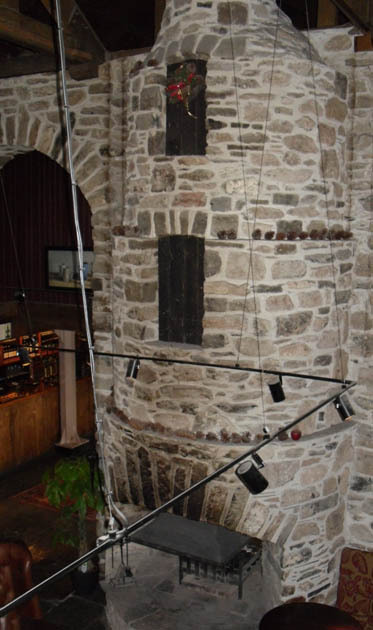 The building itself dates back to sometime around 1656 when it was built for use as a warehouse. 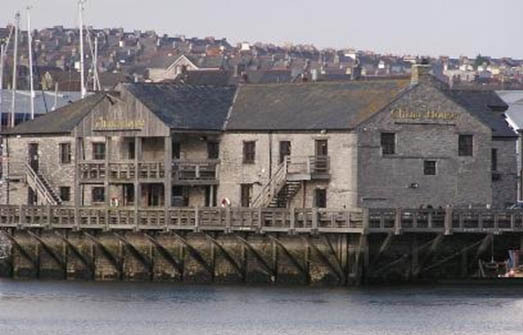 It is understood to be the oldest standing building in Plymouth that is still in use to this day. In 1667 the building was bought by the Harbour Commissioners and used as a victualling and naval storehouse. In 1697 it became a gun wharf for the Board of Ordnance and in 1756 it was adapted as a naval hospital. It has even been used as a King’s bakehouse. However, it was in 1720, that a fifteen-year-old William Cookworthy walked the 250 miles from Kingsbridge in Devon to London to take up an apprenticeship as a pharmacist. Five years later he came to Plymouth and it was in Notte Street that he opened up a successful pharmacy. Having read about the ancient Chinese porcelain industry, he went on to develop Britain’s first true porcelain. In 1768 he established the ‘Plymouth China Works’. It was around this time that Cookworthy acquired this building and, up until 1774, it was used as a factory for producing and storing his ‘Plymouth Porcelain’. This is where the China House takes its name. 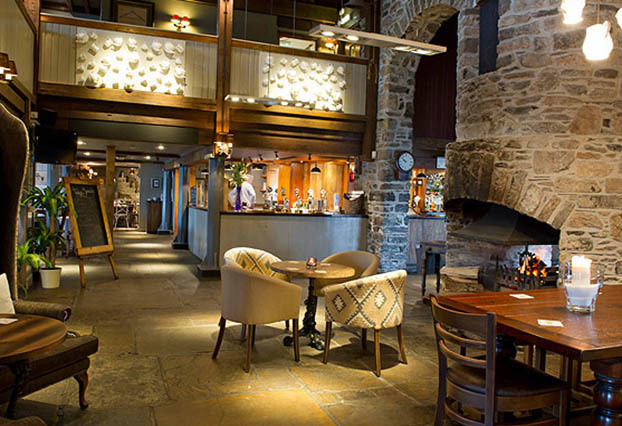 Today the Grade II listed China House is a thriving pub and restaurant. 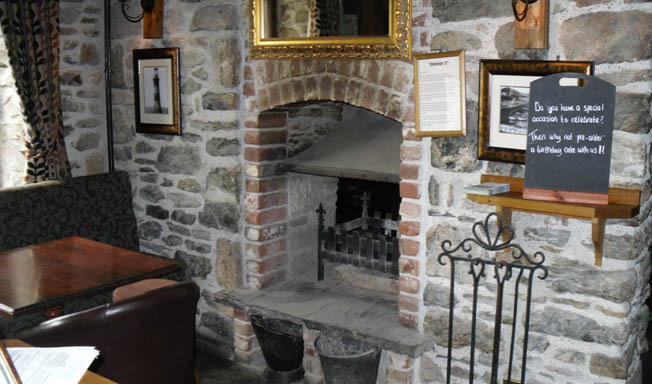 We were asked to construct a back-to-back fireplace as a central feature for the pub whilst it went through a major refurbishment. 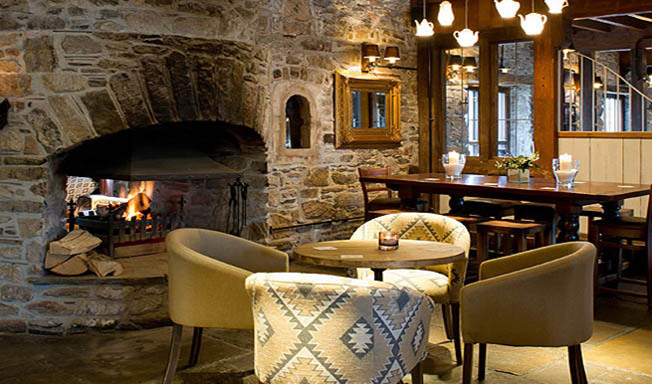 The stone used for its construction was local reclaimed Plymouth limestone and the fireplace itself was designed to replicate an old kiln that once stood in the building which was used to fire the porcelain. The hearth stones were cut from old reclaimed York flagstones. The french word ‘Voussoir’ originates from the Latin ‘volvere’ which means ‘to turn or to roll’. It is the technical term we use for the wedged shape stones that are used to construct any style of arch or vault. 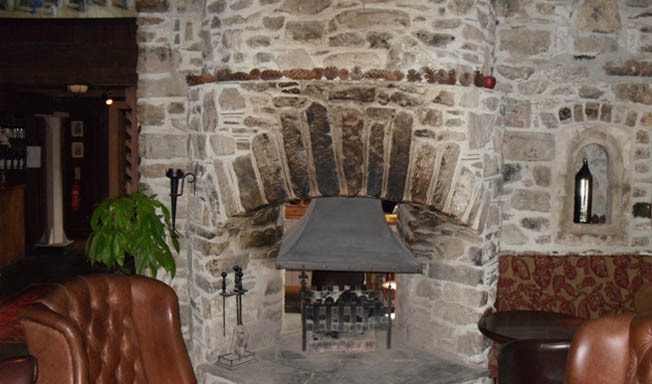 The fireplace here has a segmental arch over the fireplace opening, only this arch is set into a curved wall. This means that the inner and outer elevations will not be the same and the voussoirs need to be shaped accordingly to fit over the arched opening as the outer elevation is more semi-circular and the inner elevation is elliptical. 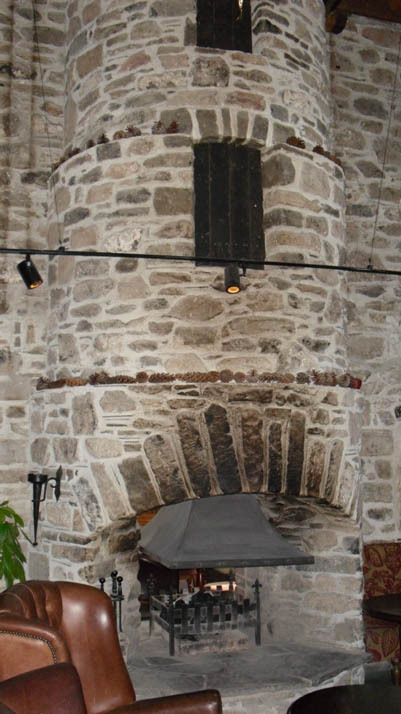 From floor level the fireplace towers almost twenty-five feet high as it rises up through the building and the foundations for this go down another ten feet. 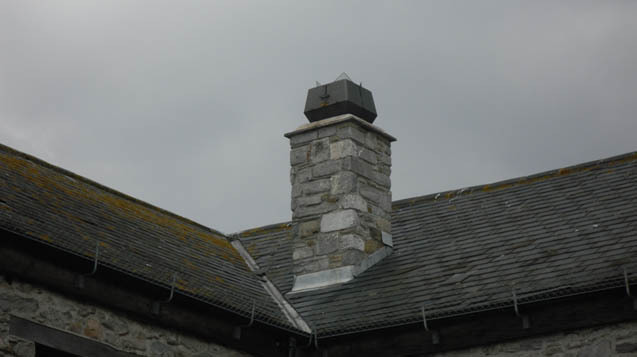 The chimney on the outside adds a further seven feet to its height.